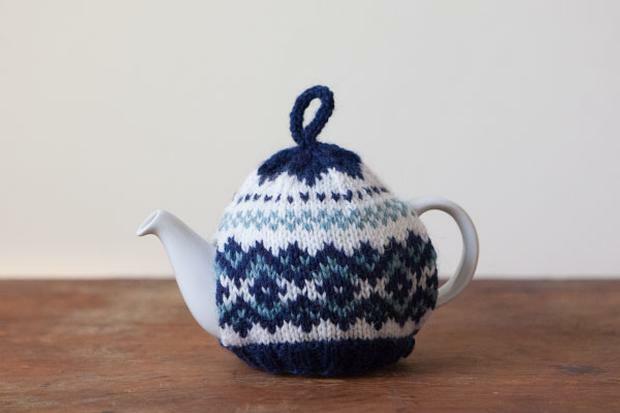 What better way to spend a snow day than curled up with some knitting and a pot of tea? 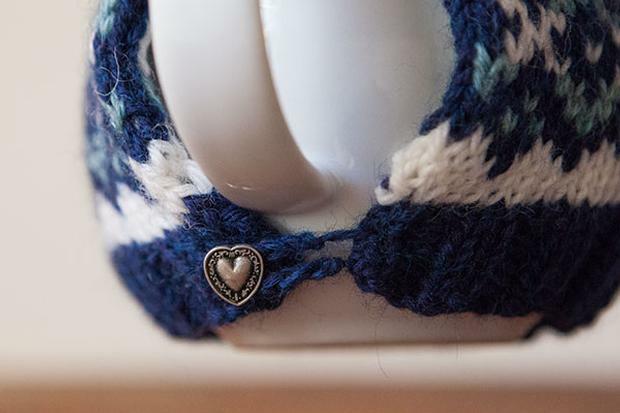 Just the right size for a quick cuppa, this wee cozy knits up in no time from a small amount a yarn, for a whimsical gift or just a quick, practical, and satisfying project. 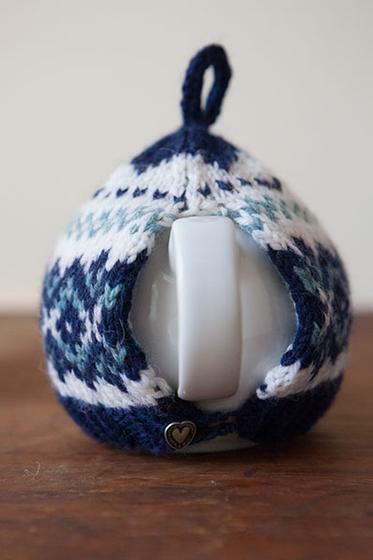 The Snow Day Tea Cozy is worked in the round from the bottom up. 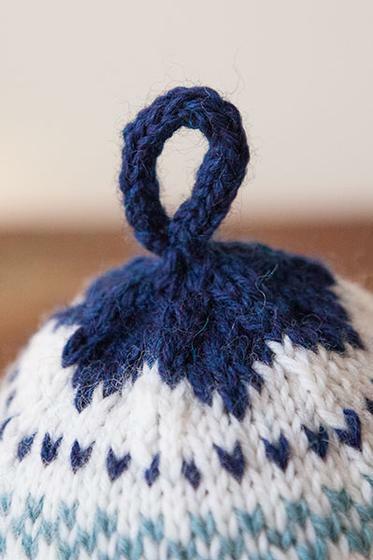 Steeks are worked and cut to form the holes for the spout and handle. 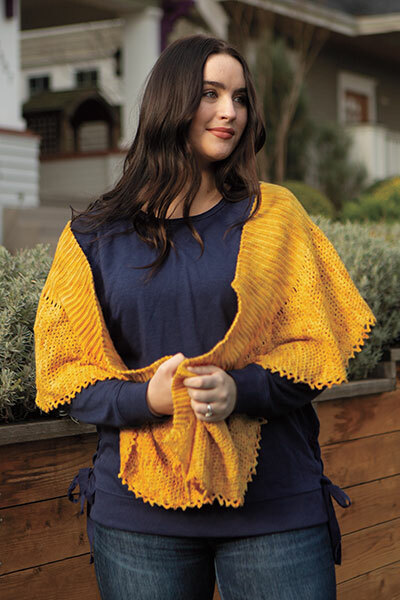 An I-cord finishes the top, and a crochet chain loop with button fastens the back. 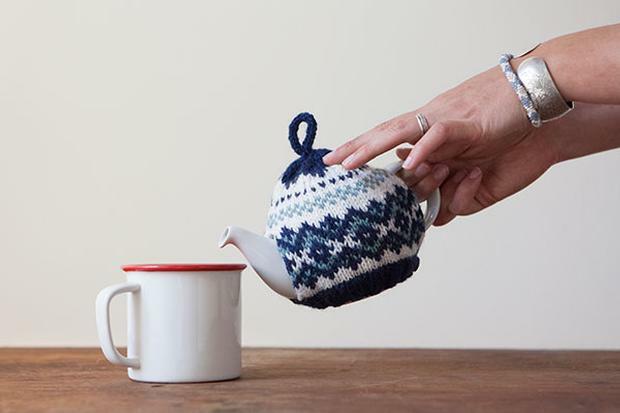 Designed especially for the 2 Cup Teapot, available here.